I hope you guys had a great week! This week consisted of a stomach virus and a major sleep setback for Coco so please excuse any and all spelling errors and typos because I HAVEN’T SLEPT in well over a year. We finally decided to try some different sleep tactics and it’s been sort of crazy. Thankfully Coco is the best baby in all the land and makes up for not sleeping in every other area in her life including making me the happiest Mommy in the world. PS- we officially have a walker! Now bring on the coffee. For months I was on the hunt for the perfect cozy sweater. Our current weather is 45 in the morning but then 70 in the afternoon (not complaining) so you go from freezing to sweating before you know it and the only logical solution is layers. The knit of this sweater isn’t too heavy so you can easily throw a fur vest or jacket over without feeling like you have fat guy in a little coat syndrome. I also wanted something that was long enough in the back to wear with leggings. This one does just that but is a little shorter in the front so if you want to channel your inner off duty model, get crazy and tuck the front into your pants or skirt. Yolo! 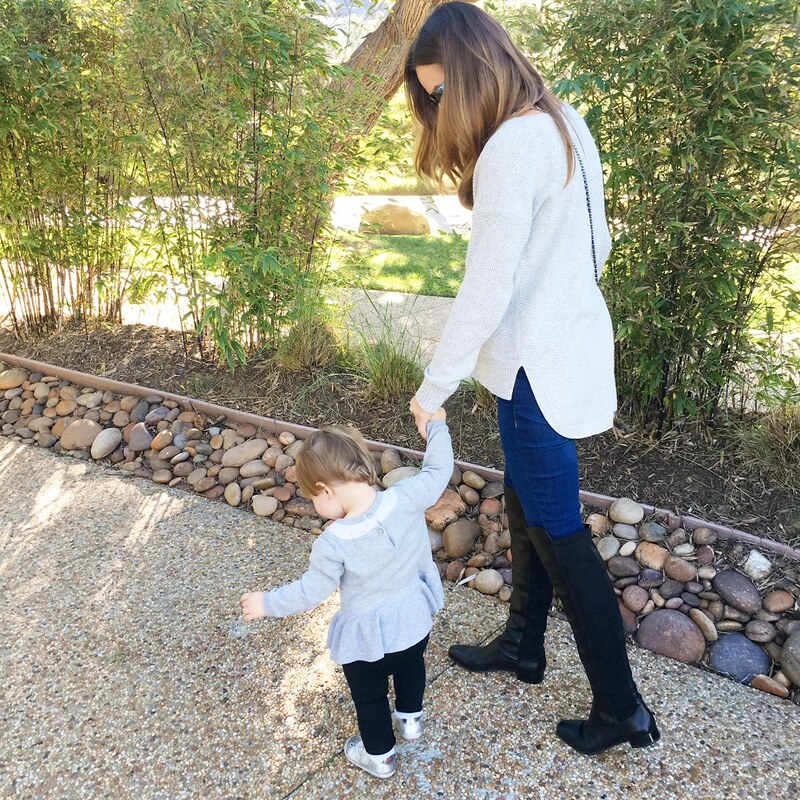 This sweater is on sale and there is an additional 20% off right now! 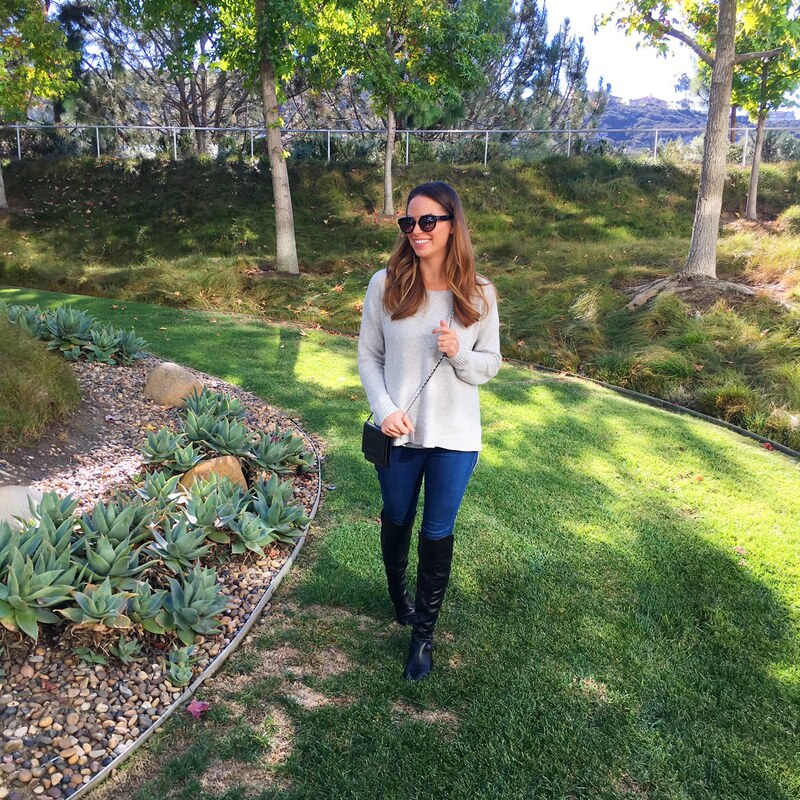 I paired this sweater with a Stuart Weitzman 5050 boot dupe and some dark skinny jeans (that are under $75). 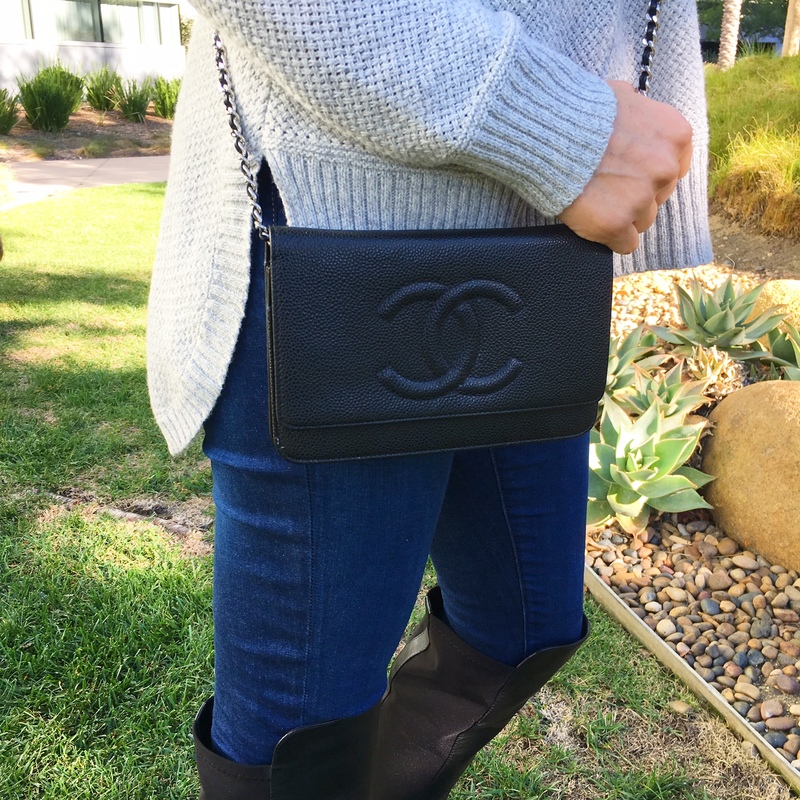 Several of the Stuart Weitzman boots have been on my wish list for a while and these ones are a much more affordable option than the 5050! 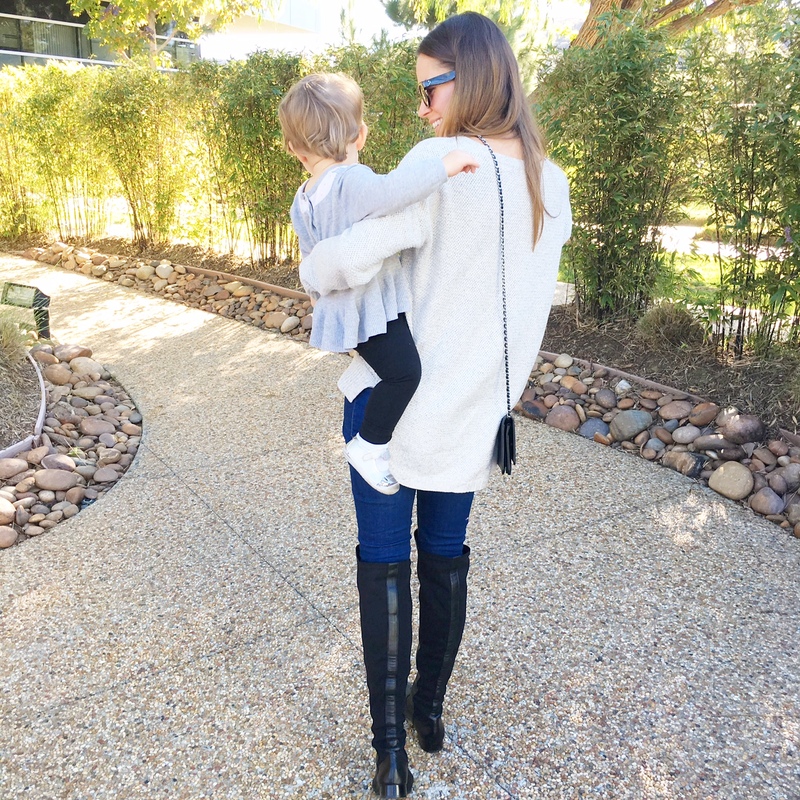 Last year over the knee boots seemed a little out of my league but now I’m throwing them on like my favorite booties. It’s a trend worth trying if for nothing else but the fact they make your legs look super model long. Have a great weekend and as always, thank you so much for following along!